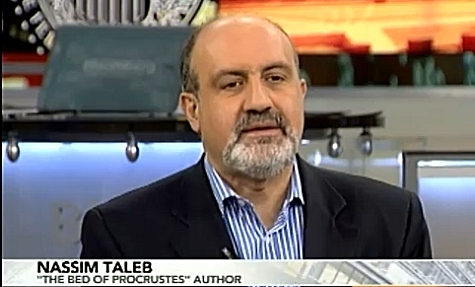 Nassim Taleb, distinguised professor at NYU and author of The Black Swan, was on Bloomberg TV today blasting Bernanke for not understanding the risks he is taking by doing QE2. He says QE2 is like being short on an out of money option on hyperinflation, meaning, you are in very deep trouble if it happens. Who will bear this risk? Retirees. The Feds' business seems to be "price instability".